All that glimmers may well be gold! 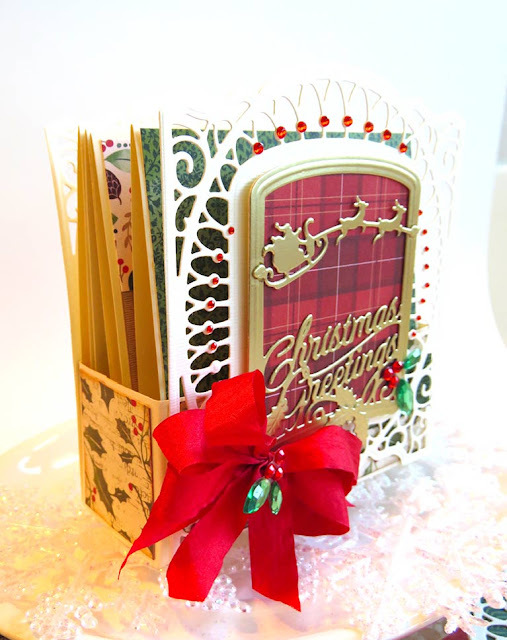 Hi there, today we are sharing with you a wonderful new tool - Spellbinders Glimmer Machine. 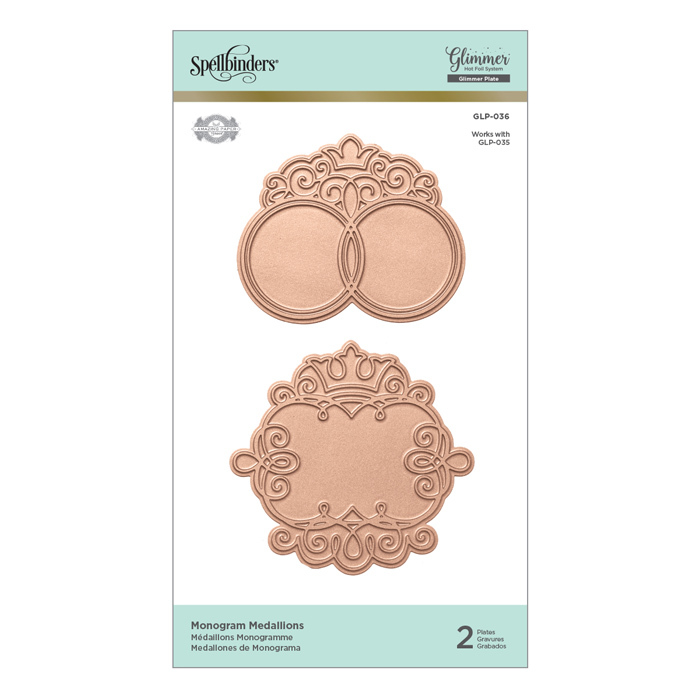 In a nutshell, it's an accessory to your die cut machine that will let you add foil motifs to materials from paper to vellum to leather to wood to fabric and more. The machine employs heat and pressure along with metal stamps (Glimmer Plates) to transfer foil to a surface - like cardstock. 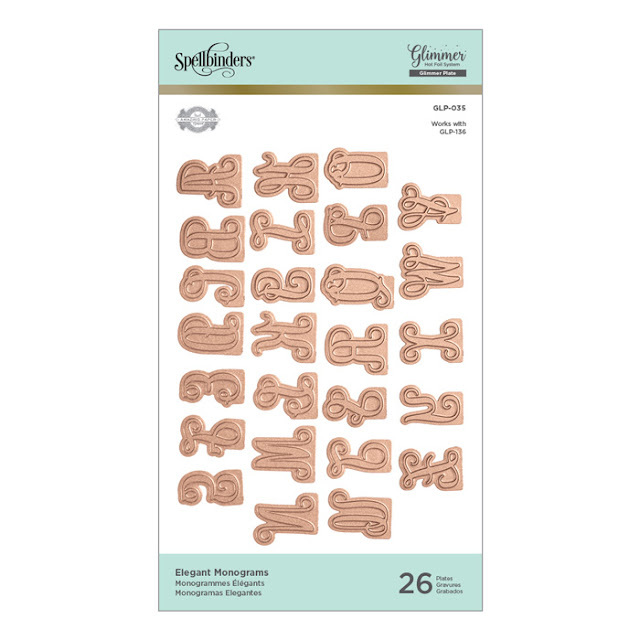 The Glimmer Plates work just like rubber stamps and in addition to transferring foil, they can transfer ink, they can letterpress and they can deep emboss. Some of the sets feature both plates and dies! Adding layers of gold or colored foil motifs creates an extra dimension to the sweet cards you send in life. This is a game changer for elegant cards! Crafters are finally able to get that professional printer look, but at home and for way less than engaging a printer to do foil. I like to think that the glimmer plates will make instant backgrounds and borders, but now there's a new thing to include in your pretty layers! 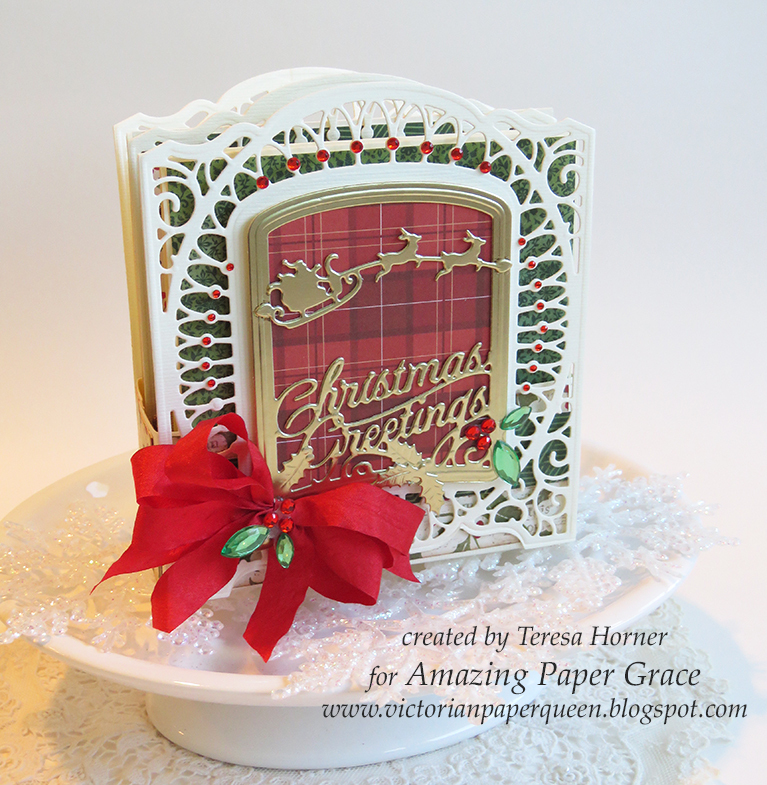 Becca jumped at the opportunity to create a set of classic, never go out of style plates for the new Glimmer Machine. 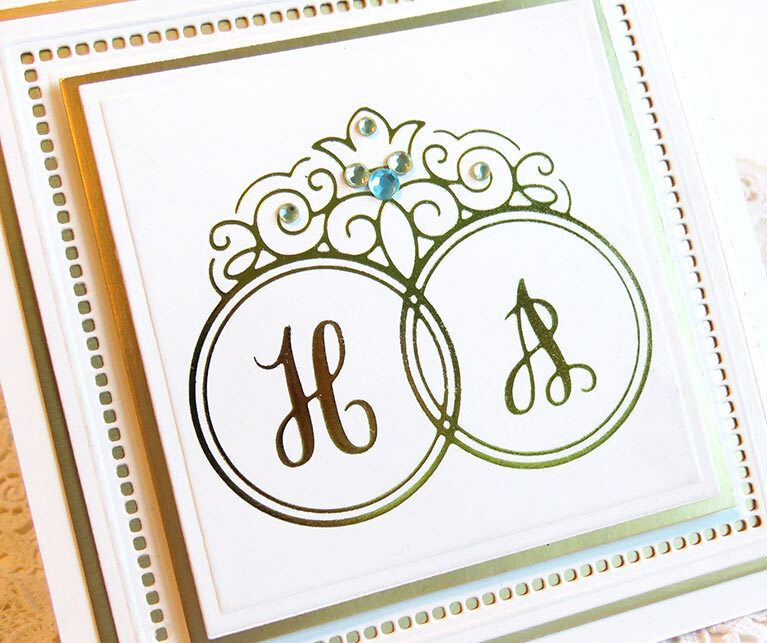 Glorious Glimmer has that sweet calligraphic look that has been popular throughout the ages. 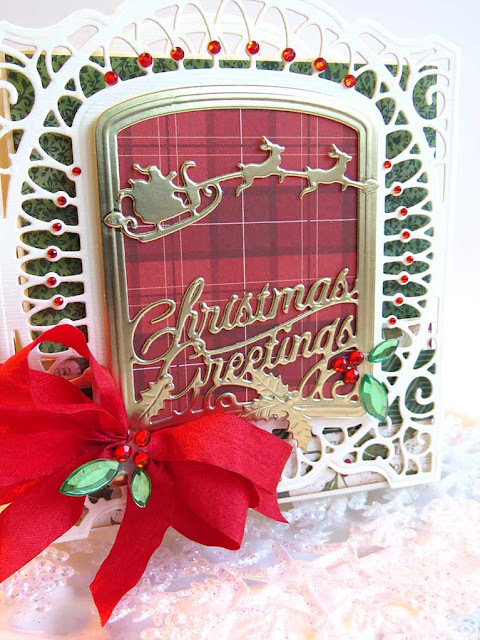 Whether used as a background, framed or layered up with a sweet die cut peeking out from underneath, these plates have options that will allow you to highlight them beautifully in any project. 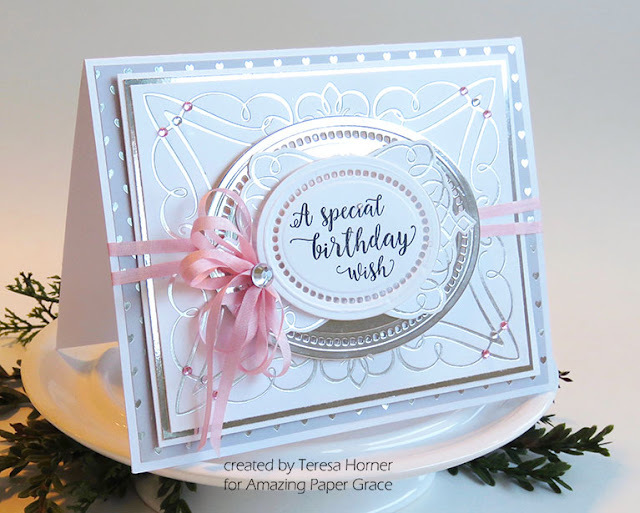 Join us for our blog hop where we will show you some inspiration on crisply transferred foil that spans from a clean look to a more involved elegant look!! Also today we have the pleasure of introducing a new Creative Team Member. Please welcome Ewelina Panka - you have seen and have swooned over her work before. She creates classic beauty on her ----; Blog as well as on her ---; Facebook and on her ---; Instagram. Please be sure to subscribe to her in each of these areas and watch as she dazzles with her fine eye for detail as well as her magnificent flowers! Here is what the plate actually looks like. 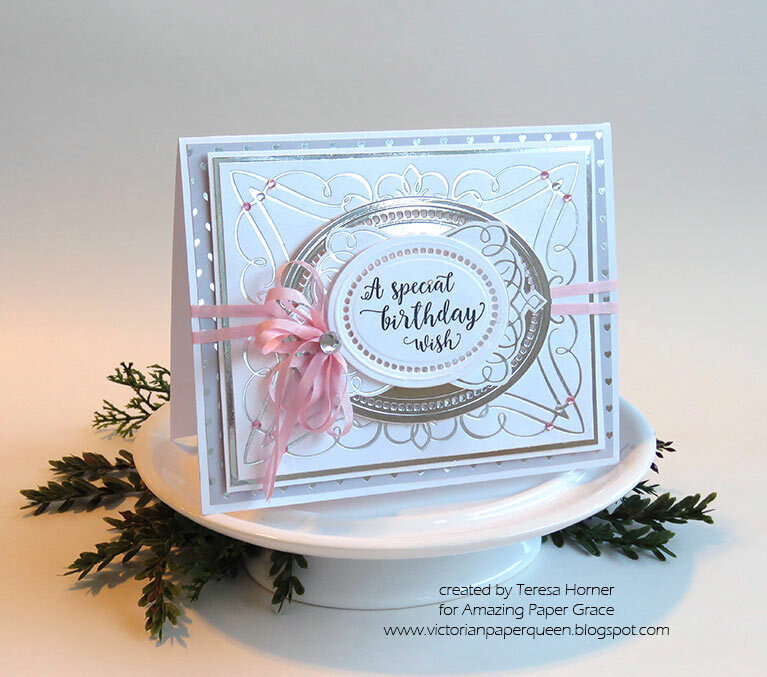 I really loved using this beautiful set of 3 plates and decided to layer it with some of my other Becca Feeken dies to create a Birthday card. 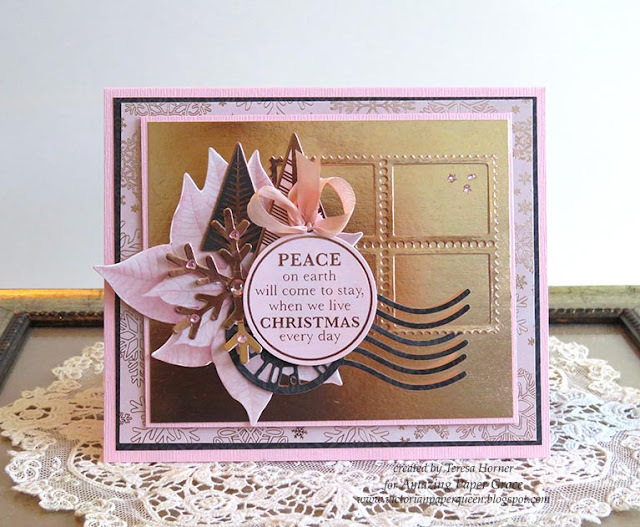 I used silver foil as my base color and then added the Hemstitch Ovals die between the foiled layers. 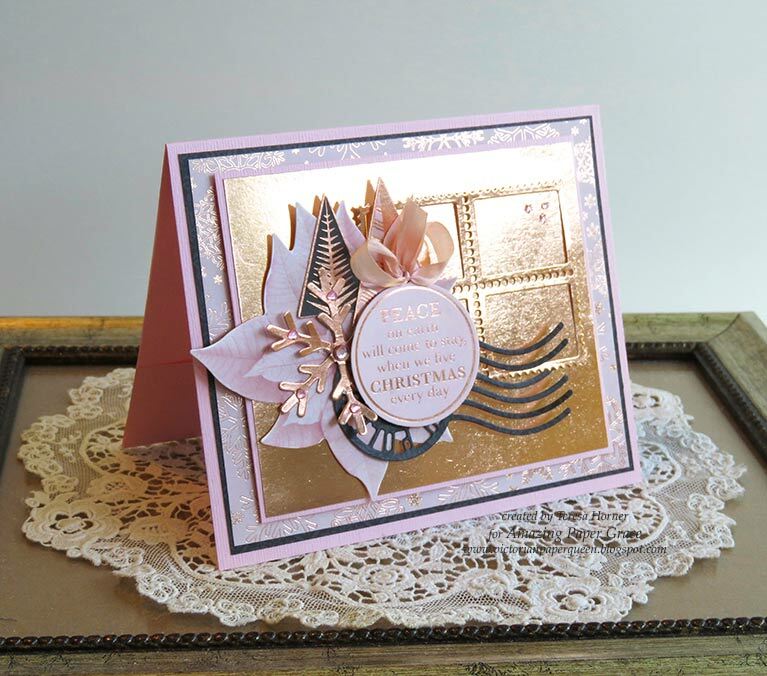 I loved how easy it was to heat the foils to the papers and what a beautiful effect it made to the card. And you can use all your other dies to mix in so it makes it even more fun. You will love using this! 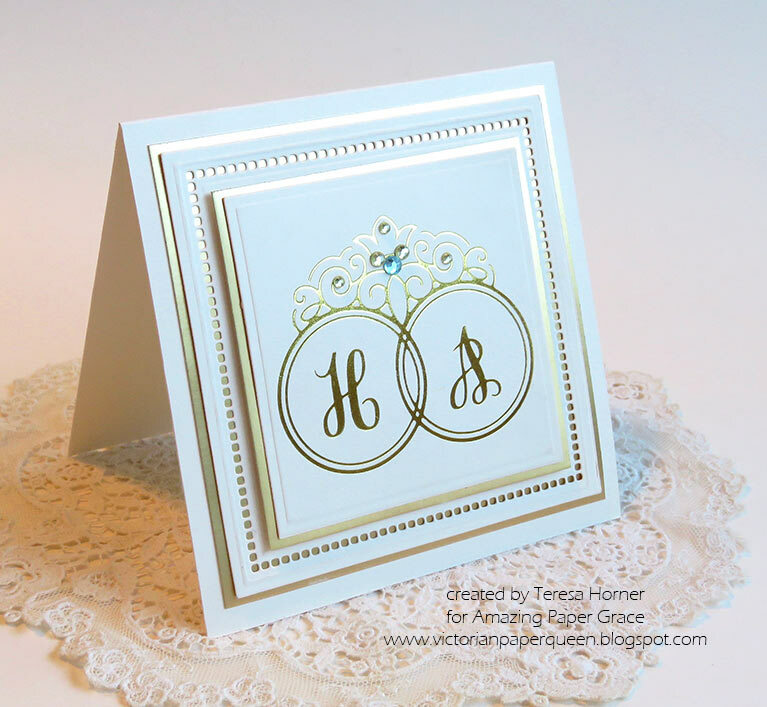 I loved creating these simple yet elegant cards with the new Monogram Medallions and the Elegant Monograms plates. 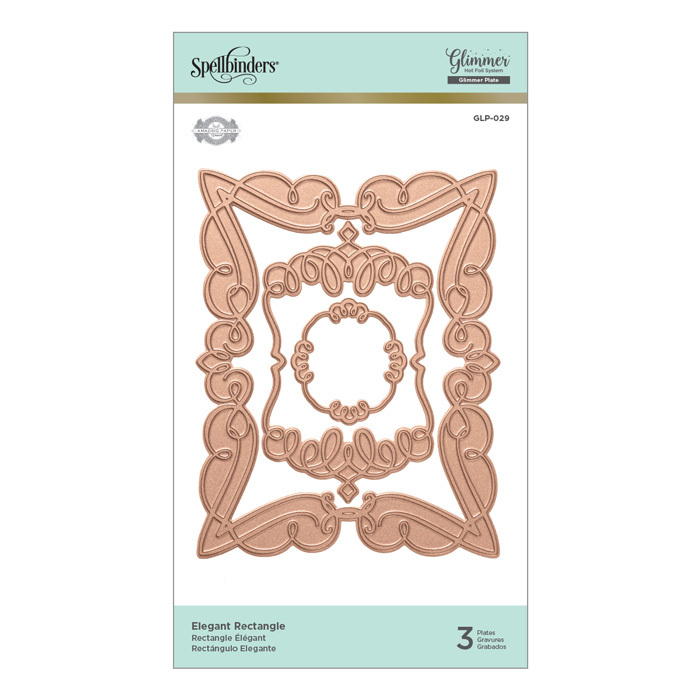 Each of designs has gorgeous swirls and crowns perfect to do any special gift idea that you have. 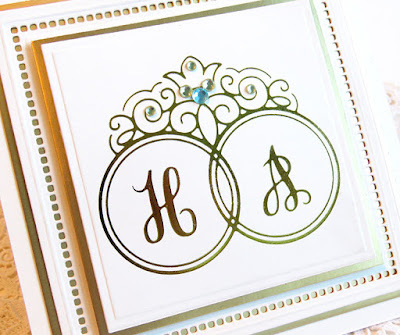 And the monograms will be wonderful to customize a beautiful set of stationery for a new bride or your BFF's. There are three dies that are being given away. 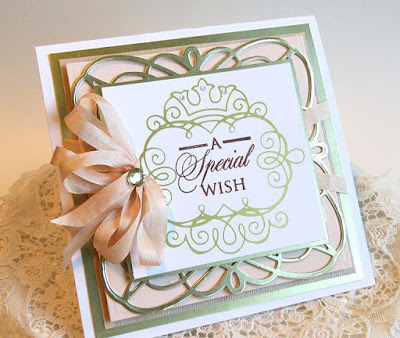 One name will be randomly picked from comments left on the combination of our six blogs on the Introducing Glorious Glimmer Blog Hop post between November 20 and November 25, 2018, at midnight US Central Time. We encourage all of our international friends to participate! The randomly selected names will be announced on the Amazing Paper Grace Blog on November 27th. 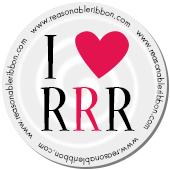 (All giveaways for this hop are managed by and the responsibility of Amazing Paper Grace). Up for grabs is an Amazing Paper Grace die of your choice from the Vintage Elegance Collection, the Graceful Borders Collection, the Venise Lace Collection, the Chantilly Lace Collection, or the 3D Vignettes Collection or the Romancing the Swirl Collection or A Charming Christmas Collection. There will be a total of three dies and a winner can win once among all the blogs. If your name is selected, simply claim it within 2 weeks of the announcement by sending your address through the form under the Contact Tab on the Amazing Paper Grace Blog. There won’t be a reply back but if you leave your choice, we’ll get it, I promise. Next thing you know, the die will show up at your door. The dies will be mailed out from Amazing Paper Grace. There is much more inspiration in store today and for the weeks to come. 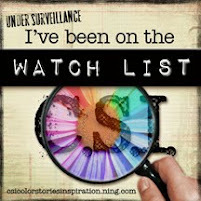 Just pop down the list of Creative Team Members to see more fabulous ideas! Welcome to my blog today on this wonderful Saturday in November. 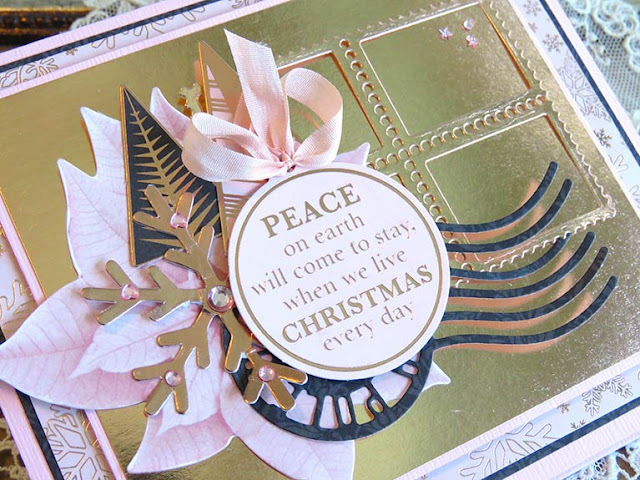 I can't believe that the time is going by so quickly and thank goodness we have had lots of time to share ideas with you to be ready for Christmas this year. 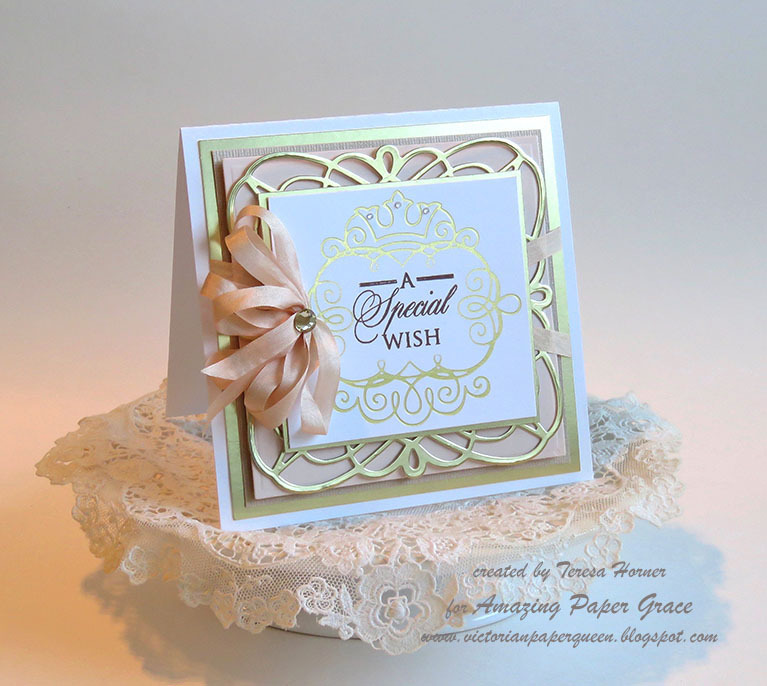 Today i did a quick card for all of you that love 6x6 paper pads and ephemera. 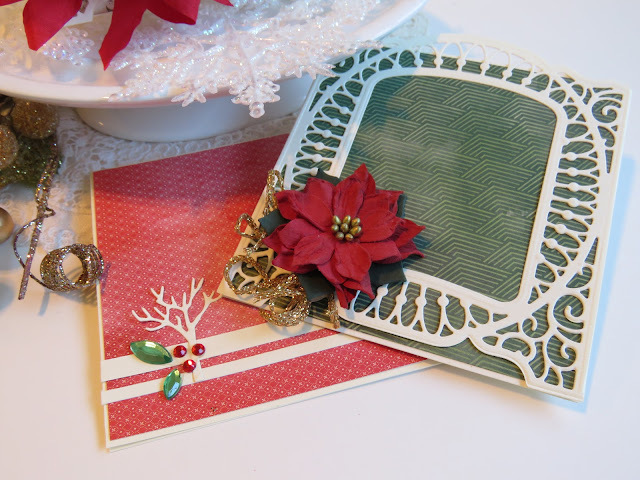 I had some left from another card i shared and got out the new A charming christmas " Postman Stamp and die set" and got to work. Since the postage stamp die cuts out windows i used it for a base on the pink gold paper and then arranged my ephemera pieces to the left of it. To keep the look of the black tree mixing on the card i cut the postal die in black and tucked it under the ornament like you see above. I added 3D foam dots to make it pop more and then created a layered back round to really set off the design. And it took no time at all so that part i really love. And you use the die in a different way than it was intended so that is a good thing too. Pink cards at Christmas are really pretty and i know the perfect person for this one...... lots more to make though!! Have a wonderful weekend and have fun crafting!